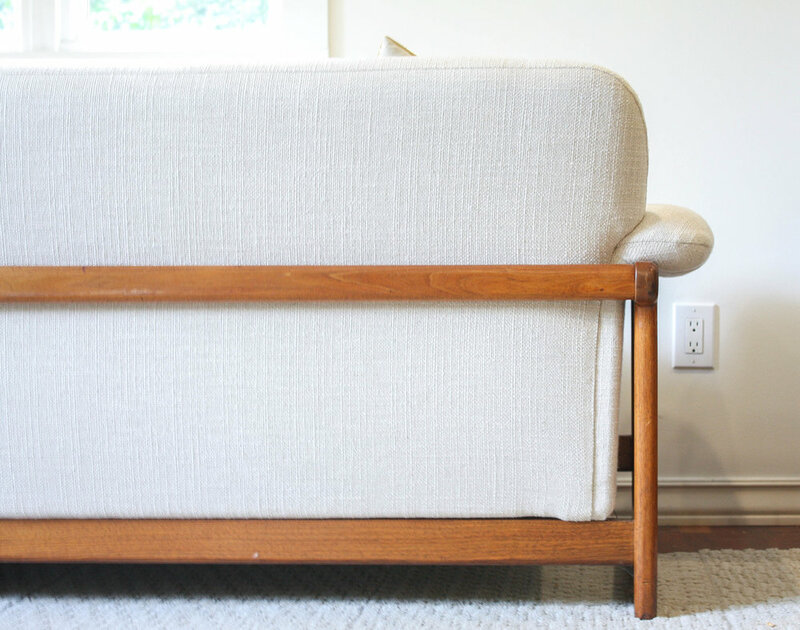 Check out this incredible mid century Sofa designed by Folke Ohlsson for Dux of Sweden. This mid century masterpiece has been refinished in a period appropriate oatmeal tweed fabric that is soft to the touch, new foam for the cushions and straps for support. 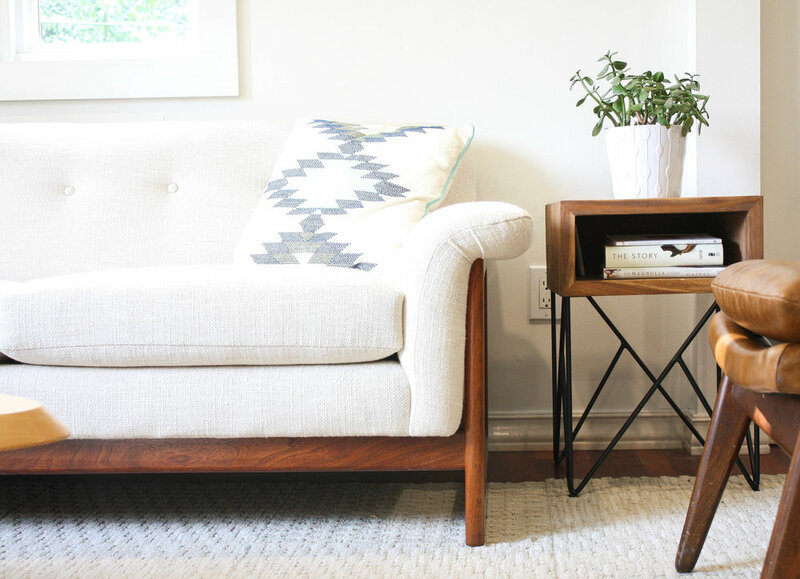 The exposed walnut frame is what transforms this from sofa to a statement piece. Rock solid with only light signs of wear to the frame. Good to go for another 50+ years.